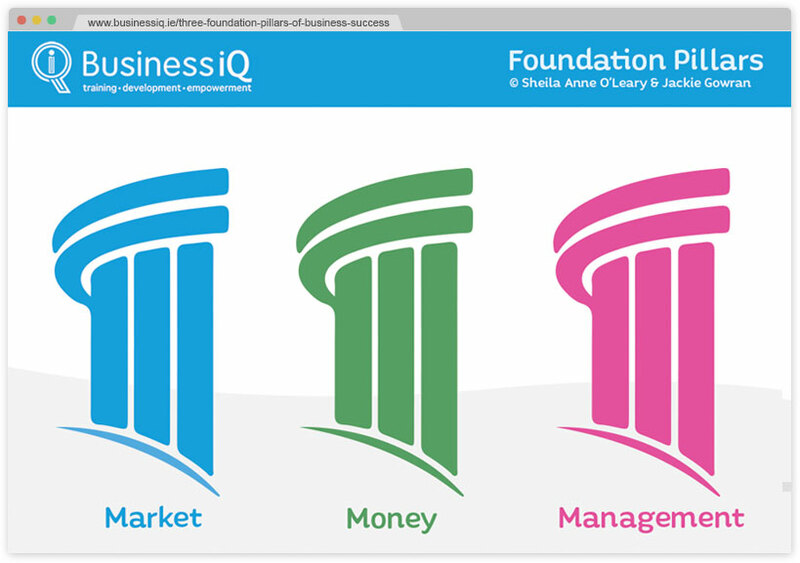 Business IQ was co-founded by Sheila Anne O’Leary and Jackie Gowran in, in order to deliver a range of Business Start-Ups Programmes, Business Development Programmes and Business Training Courses in Ireland. The combination of qualifications, expertise, and experience in business knowledge has enabled them to create the tools to nourish the business skills necessary to set up and manage a successful Irish business. Our highly qualified team delivers business training courses across Ireland – Cork North and West, Cork City, Kerry, Limerick, Waterford. Starting a business is an exciting proposition, however it is also a challenging undertaking and is a process. The business knowledge and guidance of our business coaches and mentors will help you learn what it takes to start a small business and, further on, how to nurture and grow it. It is very simple – they manage change effectively. If you look at the oldest businesses in the world, and ask their senior managers what they attribute the success of the company to, they will talk about the management of change. be clear about your direction. It is natural that your plans will change as you grow and develop your business. However, you need a road map or anchor plan which will help you assess opportunities and challenges, rather than making ad-hoc decisions which may work here and there, but in general will dilute your efforts and create confusion for your customers, and also be more stressful for you. Research your market thoroughly. Make sure there is a demand for your product or services. Don’t make assumptions based on your personal needs and wants. Reach out for guidance and delegate to other professionals where needed – however always stay “in charge”. having a clear direction will give you focus. Knowing where you want to go will allow you to identify goals, these will help you identify action plans to achieve those goals and little by little will work towards success. Know their needs and wants. The ability to change and adapt to your market and the changing trends. Make sure that your costing and pricing policies have taken all elements into consideration: fixed, capital and direct costs, and of course, the price your customer is willing to pay. Engage with business development, training and networking to learn and grow your business and your own business accumen.